The Fawcett Group provides domestic and commercial air conditioning sales, installation and repairs in Adelaide, offering quality heating and cooling products from well-known brands. When it comes to heating and cooling systems, make us your number 1 choice. We offer heating and cooling solutions and we are passionate about our service, quality workmanship and reliability. 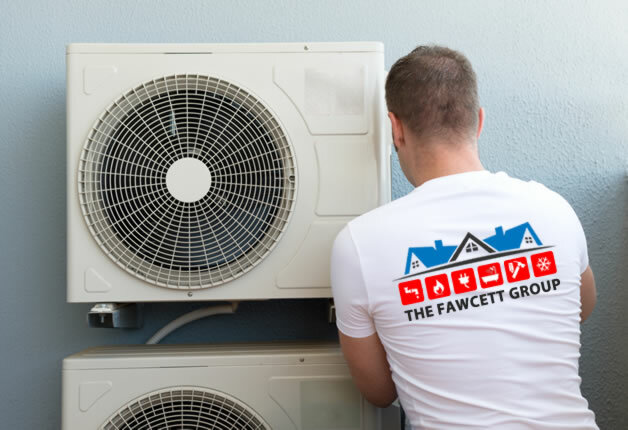 The Fawcett Group can assist you with air conditioning and heating installation, service and repairs, whether it be a reverse cycle air conditioning, evaporative cooling, split system air conditioning, ducted heating systems, ducted reverse cycle heating, split system heating and space heaters, we’ve got you covered. 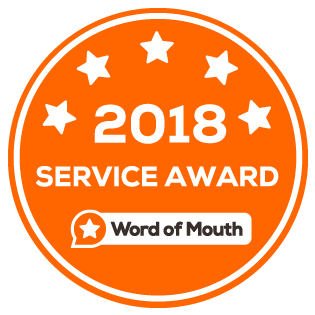 Our team of heating and cooling experts have years of experience in the heating and cooling industry and only deal with brands that we trust. We offer a complete range of heating and cooling services to Adelaide household and businesses. When it comes to keeping you warm this winter or cool next summer, give us a call to discuss your heating and cooling options. Choosing the right system for your requirements can be stressful, that is why The Fawcett Group provides friendly and professional advice and we are more than happy to provide you with a professional recommendation. What is the right system for my home / business? Ducted air conditioners work primarily through a series of ducts to keep you cool. Ducted A/C has an internal fancoil unit installed in the roof space of the home. From this central location, a series of ducts run from it and into as many rooms in the house as the owner desires. From these ducts, this allows you to cool or heat each room individually – called zoning. This is done so by the thermostat on the wall, allowing you to select the temperature and other settings. The ease of cooling a whole house is apparent here, and if you’re constructing a new home or doing major renovations, then ducted air conditioning is a viable choice. Split systems stand out for their relatively low initial purchase price. Though, being that the unit is fairly small, it is best suited to cooling or heating one room – this is either a positive or negative depending on how you look at it. On one hand, it’s an efficient option if you only need to cool or heat one room, but on the other hand they are less effective in larger spaces. Rarely could a split system air conditioner cool or heat an entire home. A reverse cycle air conditioner is used to cool your home in summer, AND warm your home in winter, all with one energy-efficient unit. It’s so brilliantly simple! Hands down, it’s one of the most efficient ways to heat your home using electricity. Keeping your indoor environment cool and comfortable during warm summer months can be a frustrating and often expensive task, to say the least. Evaporative coolers also known as swamp coolers offer an eco-friendly, healthy, and cost-effective alternative to traditional air conditioning systems. With evaporative cooling, you’re taking air from outside of the home and increasing the humidity, which has a cooling effect, and delivering that through and out the home. This gives a cycle of fresh air in and out, as opposed to recycling the same air through the house. The advantage of this is that you are making the air inside your house at a steady temperature that is more bearable and fresh as well. Ducted Gas Heating is a system designed to heat an entire home effectively by using one central gas heater. Connected to a series of ducts, the heater draws the cold air from inside the house through a Return Air Grille, heats it by passing it through its heat exchange, and then distributes the warm air out to each outlet through a chain of ducts. Vents (or outlets) are strategically placed to ensure all areas throughout the home are heated evenly. Adding zones to the heating system will allow the flexibility for the user to heat only the rooms which are being utilised. Due to its low running cost, most homes and businesses prefer Gas Ducted Heating Systems in Adelaide. Make us your first choice for all your heating and cooling system installation, service and repairs, reverse cycle air conditioners, evaporative cooling, split system air conditioners, ducted heating systems, ducted reverse cycle heating, split system heating and space heaters.